“Enchanting diversity of sound”;, “intimate and sensitive ensemble playing”, and “top class”, are just some of the many positive press reviews of concerts given by Gürzenich Chamber Orchestra (GCO). The origin of the GCO stems from the Gürzenich Orchester Köln - a symphony orchestra with a rich tradition spanning 150 years. 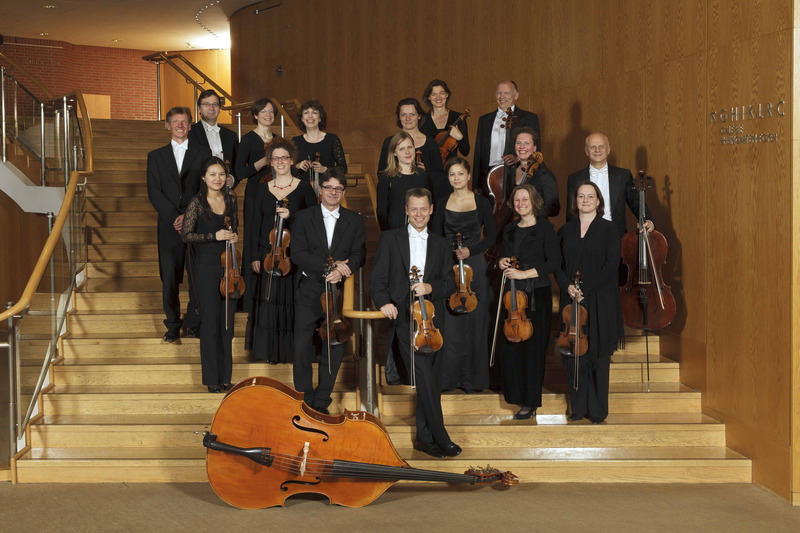 It is the orchestra in residence at the Cologne Philharmonic Hall and has worked with numerous distinguished conductors such as Felix Medelssohn-Bartholdy, Richard Strauss, Hermann Abendroth, Günther Wand, Kurt Masur oder Gustavo Dudamel. The orchestra has also been awarded a number of important prizes for recordings in recent years. Just as other famous orchestras such as the Berlin Philharmonic or the Gewandhaus Orchester in Leipzig, a chamber orchestra lead by the concert master was founded. Thus in 1993, members of the Gürzenich Orchester Köln founded the GCO. The aim was to perform chamber music predominantly without a conductor. The nucleus of the ensemble is a group of fifteen string players, with Torsten Janicke, the first concertmaster of the Gürzenich Orchester as its leader. The GCO places great importance on making decisions together - from the creation of programmes, to the discussion of musical ideas and finer details of interpretation. After its formation, engagements for the GCO followed quickly - from charity concerts for UNICEF, to children's concerts as part of the ‘Cologne Triennale’ festival with Sir Peter Ustinov and Konrad Beikircher. They have appeared with the conductor James Conlon, and the soloists like Frank Peter Zimmerman, Bernd Glemser or Michaela Petri and have performed a variety of programmes without a conductor, including works by Bartok and Stravinsky. Since then, the GCO has been playing regularly in the subscription concert series in the Cologne and Essen Philharmonic Hall, and makes guest appearances in many different cities, where the critics praise the spirit and brilliance of its string playing. Following the great success of its tours to Spain in May 2006 and autumn 2009, the CGCO was back in October 2016 and played in Valencia.